Happy Friday and welcome to another KCL Friday Finds! With the holiday weekend upon us and most schools letting out soon, I think we all have summer on our minds. I hope you have some fun things planned and most of all some time to relax with loved ones. But first, let's shop! I've rounded up some wonderful finds in beauty, fashion, and decor that I know you'll love. This first brand really caught my eye on Instagram. I've always loved abstract art, and lately I find that I especially like abstract paintings with cool tones and pastels shades. 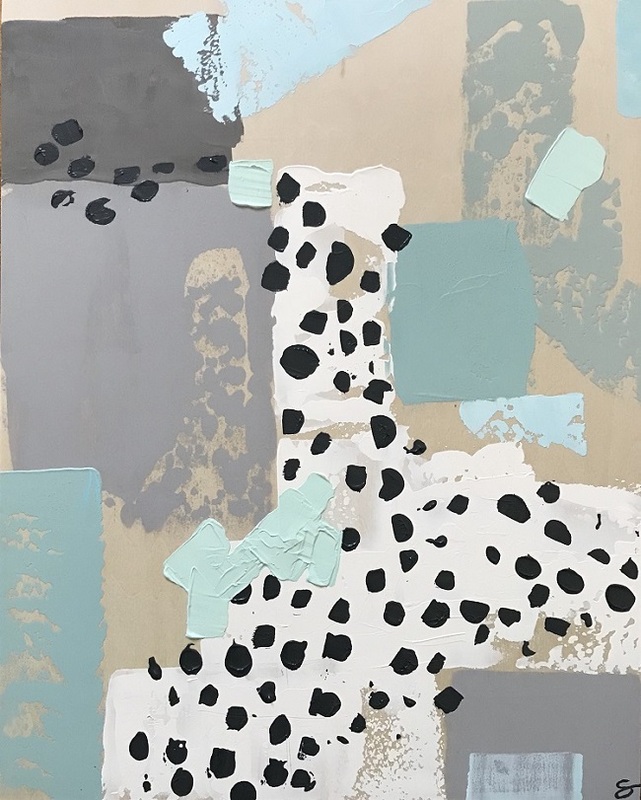 The artwork at Shannon Duley Art is just that, with the added benefit of some modern black and white thrown in, like with this “Spotted by the Sea” 20×16 acrylic on birch panel. 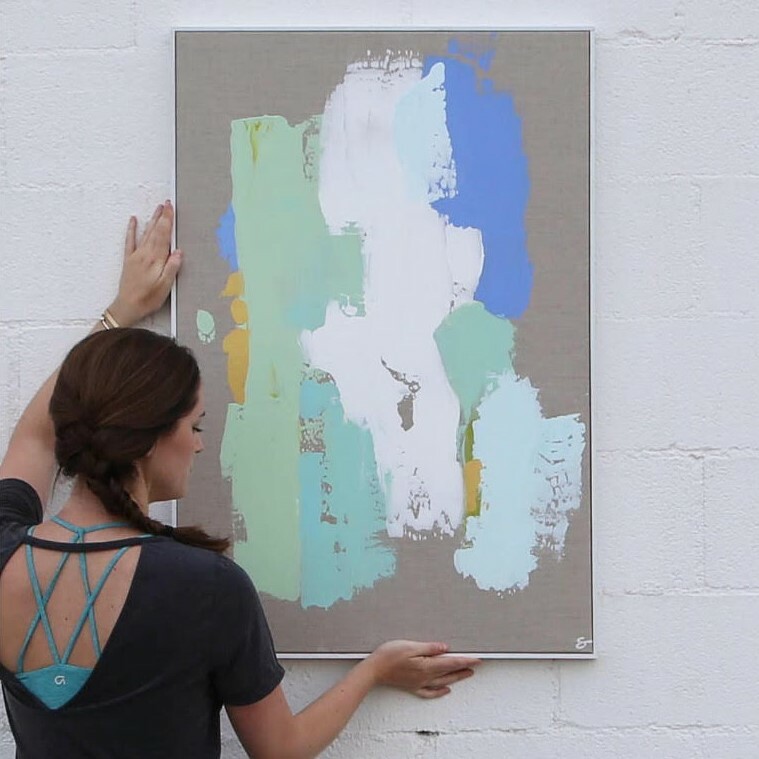 If you love the pastel brush strokes without the dots and with a little more color, this “Citronella 2” 48×36 acrylic on linen is just the thing. Artist Shannon Duley finds inspiration in her surroundings, and her designs are influenced by seasons and their mood. "My spring collection was established in the winter months, largely due to my obsession with velvet. I became enamored by the luxe yet imperfect quality of it – these works are monochromatic with mesmerizing depth & texture. 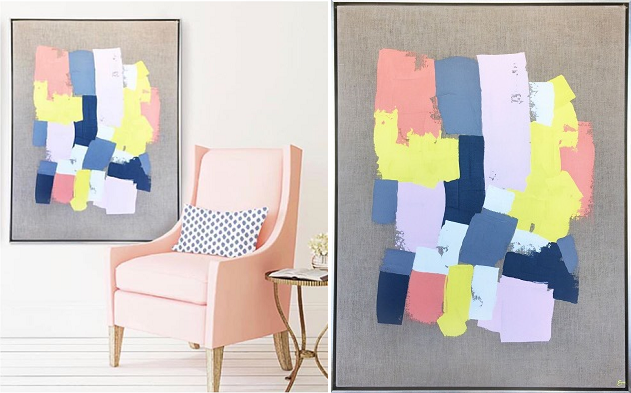 In January, I was able to escape to the Boca Raton Resort, which is plastered in blush & peach stucco – you will see a lot of those tones in this collection." You can see her newest Spring collection and more of her beautiful paintings in her Lookbook. I’ve recently been talking to you guys about the combination of wellness and beauty, and we’ve all seen the trend incorporated into home products as well. From essential oils to healing crystals, the recent surge in holistic health has made its way into home fragrance, and I love it! At Aroma Poetry they’ve combined the healing power of words with essential oils. 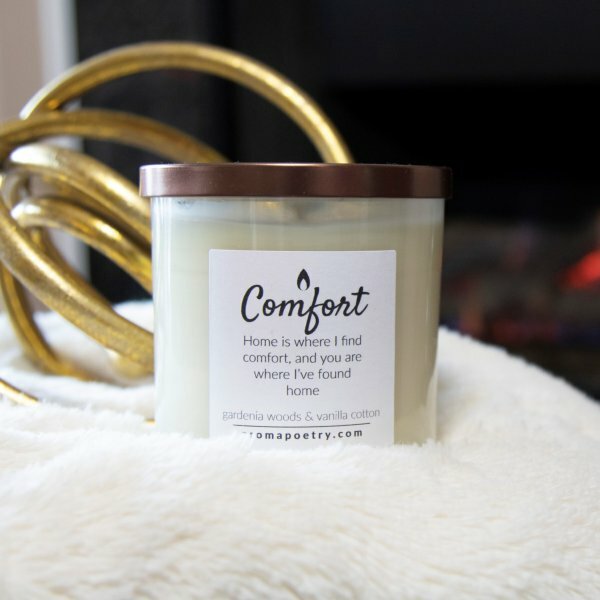 Each candle displays original poetry on the label, which makes it the perfect candle for gift giving or simply for relaxing at home with a cup of tea and a good book. Aromapoetry carries three different collections - the Energy Healing Series, the Mother Earth Series, and the Humble Abode Series. 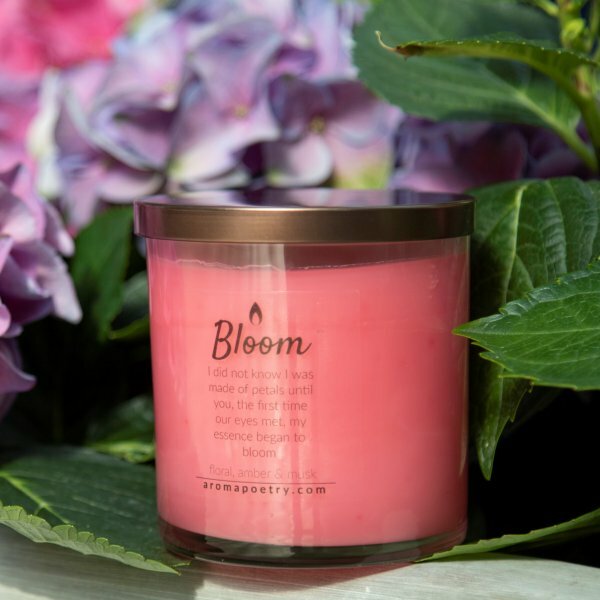 Their two new fragrances "Bloom" and "Comfort" and are perfect for spring and summer. Bloom is a blend of peony, rose, amber, musk and a dash of grapefruit; while Comfort combines white florals, wood, vanilla and cotton. If you'd rather try the Energy Healing Series, you can find candles that focus on the different chakras, with scents like Third Eye and Solar Plexus. All of the luxury soy candles at Aroma Poetry are priced under $20 and come in 10oz. jars with a burn time of 80 hours! And now for a bit of fashion. Accesories are such an affordable way to update your wardrobe for the upcoming season. Several different collections at Bay Area Beads are perfect for Spring and Summer! 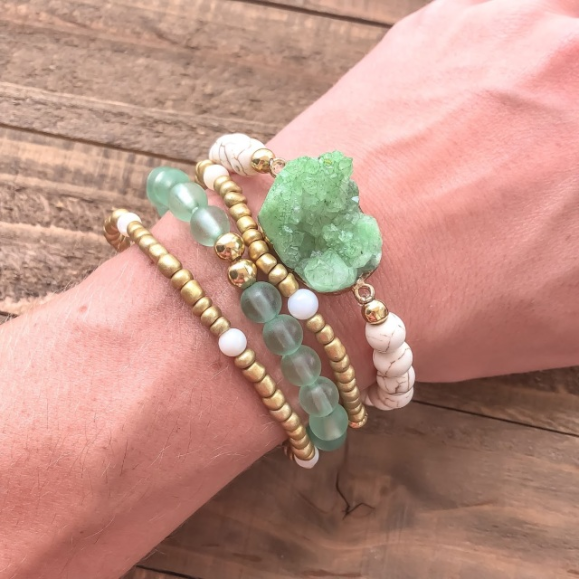 From the bright and colorful pieces in the Fiesta Collection to the druzy, boho-chic jewelry, like this Mint Green Trio; you can quickly dress up or dress down your summer whites. 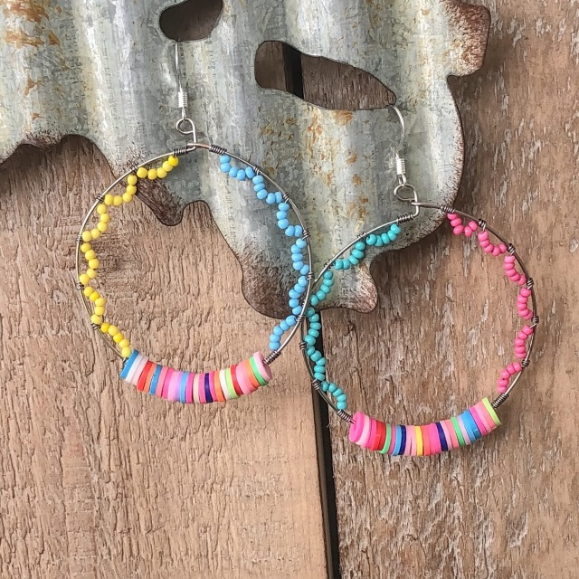 I love all of the boho-chic pieces at Bay Area Beads, though my favorite for Summer would have to be these Party Hoops from the Fiesta Collection. Each piece at Bay Area Beads is handmade and unique, and you can customize your order as well. If you need a specific color or want to give bracelets as bridesmaids gifts, for example, owner and designer Danielle will work closely with you to design what you're looking for. Danielle has also created a discount code exclusively for my Friday Finds shoppers. Use code KRISZTINA15 between today and June 8th to receive 15% off any order! 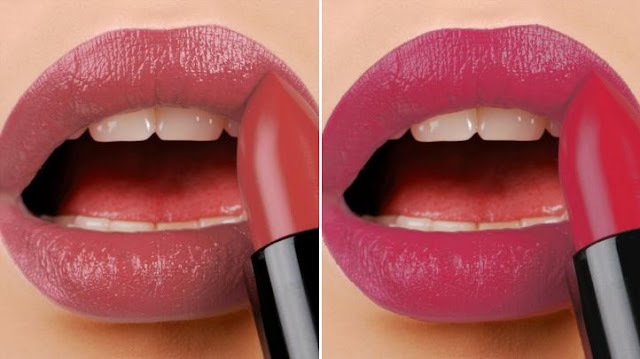 To update your makeup routine, you can find the most moisturizing lipstick at Katrynthia Law. Each color is opaque, ultra-creamy, and has been formulated using only the most necessary ingredients that won't dry out your lips. By using Katrynthia Law Moisturizing Lipstick Butter, you'll be treating yourself to a fresh blend of coconut oil, castor seed oil, hydrogenated soybean oil, jojoba oil & vitamin E! Perfect for dry lips, their moisturizing lipstick butter is free of harsh ingredients commonly found in traditional lipsticks, and their products are all cruelty-free and vegan. There are 10 beautiful shades, from a perfectly neutral and subtle red like "Acoustic" to a beautiful bold pink like "Doc Sea." All orders at Katrynthia Law include free gift wrapping with premium damask printed paper, and free shipping! See the full collection here >. Now let's get back to fashion for a sec, because I found a gorgeous handbag line on Instagram this week too! Day’s Eye Handbags has a luxurious collection of clutches, totes, backpacks and more. Best of all, they are so versatile, most of which have convertible straps, so you can wear them multiple ways. This beautiful blush Checkers Sienna Satchel for example can be used as a top-handle bag, a shoulder bag, a crossbody, or even a backpack. For the upcoming Summer season, my two favorite kinds of bags are a large tote and a convenient small crossbody. The Day's Eye Perla Leather Tote is the ultimate in versatility for summer. 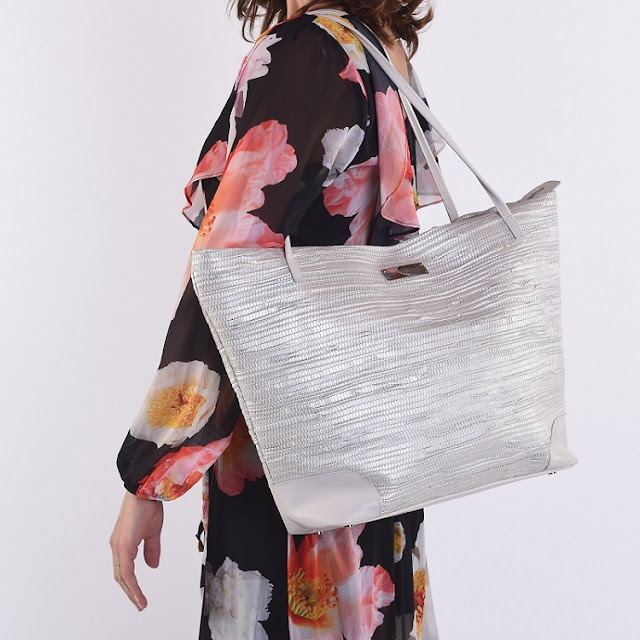 The shape and texture make it perfect for the beach, and the subtle metallic finish and leather material make it wearable for other occasions as well. 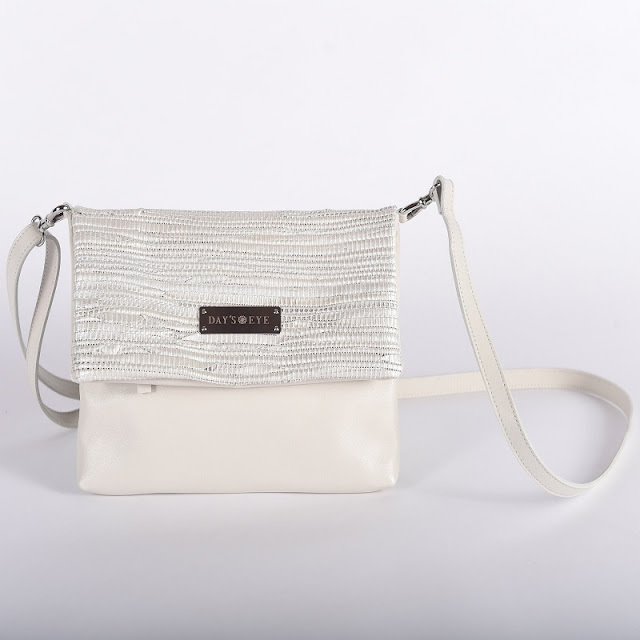 This matching Petra Clutch and Crossbody pictured above has the same color and finish with the convenience of a small crossbody. Last but not least, we can't end the Friday Finds without some great skincare. I've really been enjoying focusing on beauty and skincare on KCL this year, and I'm glad you guys are loving it too! While most brands catch my eye with images, this one got my attention with the ingredients. Words like hyaluronic acid, Vitamin C, and peptides immediately let me know that a skincare brand knows exactly what it's doing. 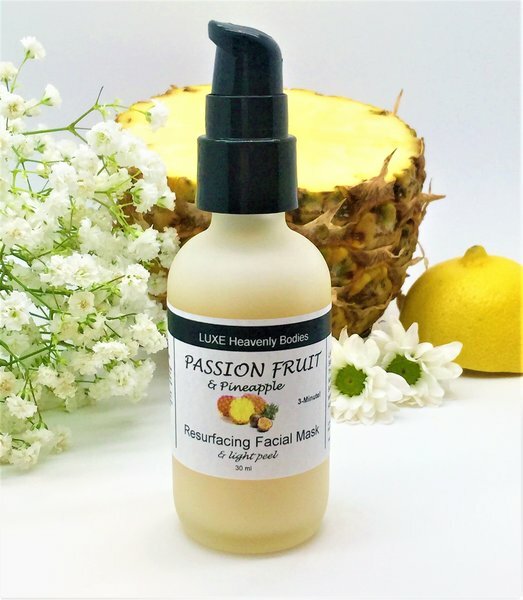 At LHB Natural Skincare you'll find high quality anti-aging skincare products that also include natural oils and botanicals. 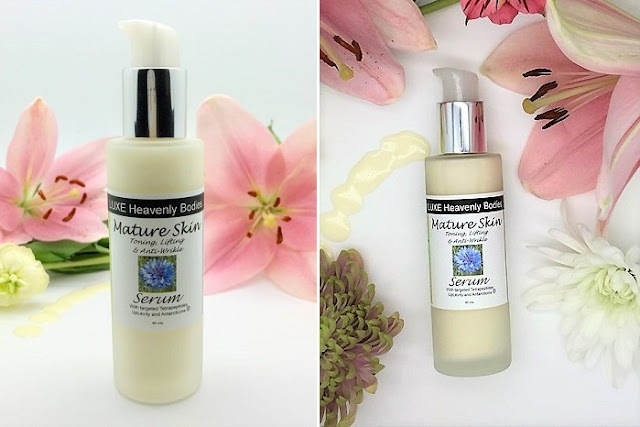 While I'd love to test just about everything at LHB, my top picks include this Mature Skin Serum with Antarcticine, and UpLevity Tetrapeptides to educe wrinkles, firm, tone and lift the skin. With extremely positive customer reviews, I have no doubt in this serum's claim that it reduces wrinkle depth by 44%. 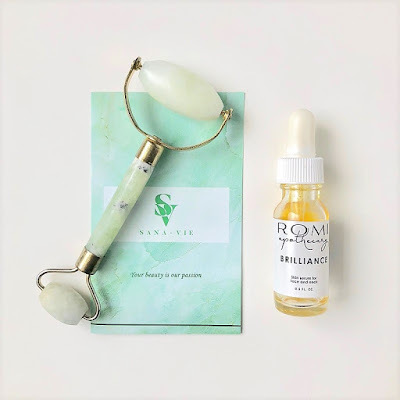 I also love that their hyaluronic serum contains added botanicals like aloe, lavender, and rose; all of which have been very popular skin care ingredients lately. LHB has you covered for #selfcaresunday as well, with multiple facial masks to pick from. The activated charcoal and sea clay masks sound incredible, though I'd also highly suggest the Passion Fruit & Pineapple Resurfacing Facial Mask & Light Peel. There you have it, guys! All you need for some amazing online shopping this long weekend. Use the links below to browse each brand. Have a very relaxing and fun weekend and happy shopping! How beautiful are those paintings! Lovely! Aren't they?! I love the pastel colors she uses. These are really adorable items you have here dear, especially the earrings! Thanks, Jessica! I just got some bracelets from there and the quality is so great too! !